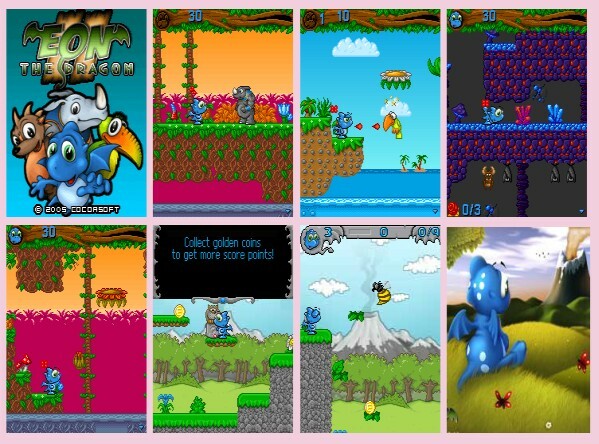 Eon The Dragon 2 (by Cocoasoft) — Mobers.ORG — Your Daily Source For Mobile FUN! Join Eon on his journey across seas and islands towards new adventures. His visit to his uncle on The Isle of Cornucopia will challenge him with new tests and adventures. Will he succeed in finding the rhino tribe in impassable jungle under The Wuthering Horn volcano and complete the mission that was entrusted unto him?